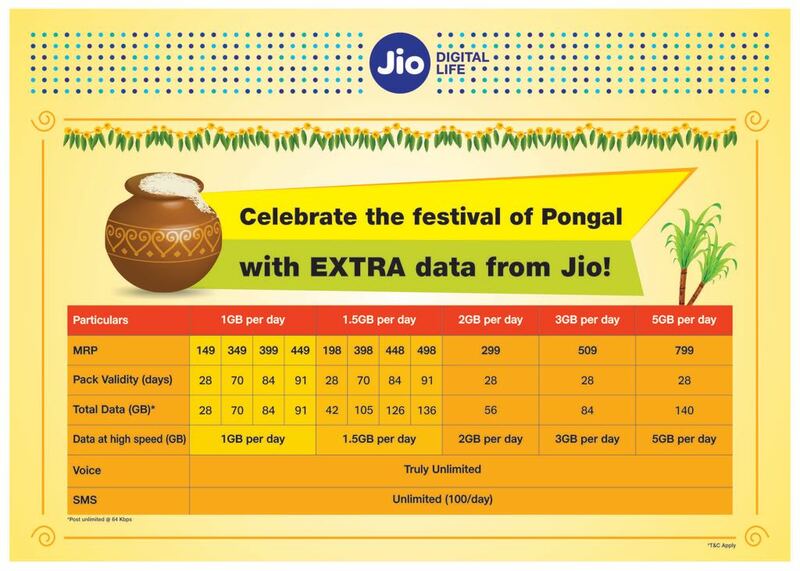 Celebrate the festival of Pongal with Extra data from Jio! Then new Jio Pongal festival offer for 2018 has lots of good things. Prices of Jio packs have been reduced and Data limit has also been increased in some cases. Validity is also increased in some of the pack. Enjoy internet with Jio!